← She peed, she pooped, she nursed… And she looked adorable doing it! 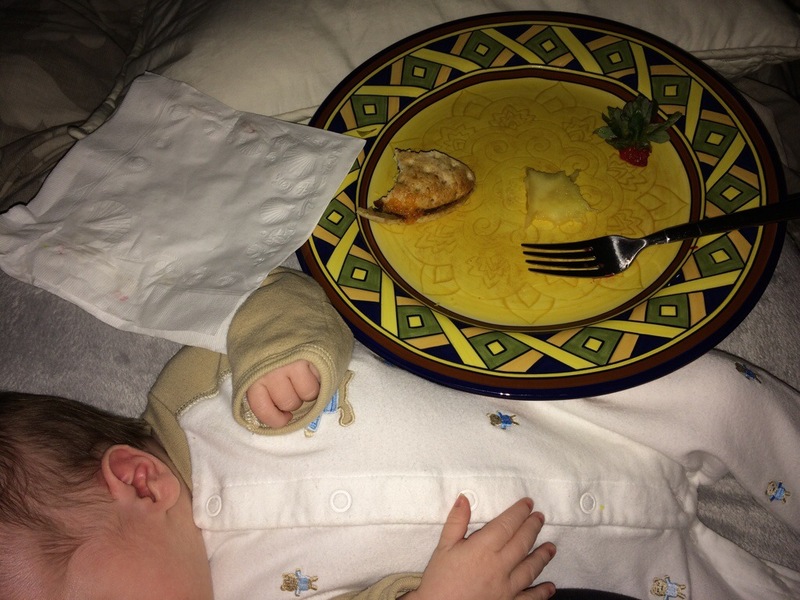 Not exactly the picture in my head when someone says breakfast in bed… But I can’t complain! Regardless, I am very grateful for my amazing husband. He’s been working from home since we’ve been out of the hospital and has definitely been taking care of me and the house… And about 98% of all diaper changes. What will I do when he has to go back to work? Thankfully I still get one more week with him home. I’ll start stressing about him leaving me next week. Until then, Charlotte and I will both enjoy breakfast in bed. haha, love that picture 😀 My husband went back yesterday…mehhhhhh. How has it been since he’s been back? You surviving?